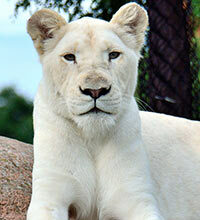 This website is the official authorized seller of Toronto Zoo's online admission passes. The Toronto Zoo is not responsible for any inconvenience or financial loss due to unauthorized duplication and/or resale of tickets, and reserves the right to deny admission. If you have any questions with regard to the validity of any online ticket offers, please call Guest Services at 416-392-5932. Your admission includes access to all pavilions, exhibits and daily shows excluding any separately ticketed events, rides and exhibits. Pay by VISA, MasterCard, American Express, Interac/Debit, traveller's cheques or cash. Looking for a gift for family and friends? Give a gift for a day of WILD adventure at the Toronto Zoo. Call Guest Services at 416-392-5929 and we can help. Purchased Zoo gift passes can be couriered at a nominal fee. 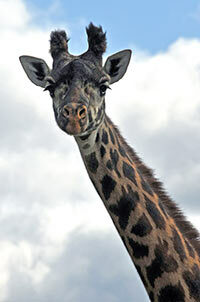 Save 34% or more on Toronto Zoo admission plus 4 more top Toronto attractions. Visit these attractions within 9-days and skip most lines with CityPASS: CN Tower, Casa Loma, Toronto Zoo OR Ontario Science Centre, Ripley's Aquarium, and Royal Ontario Museum. Mobile or printable tickets available for immediate delivery. Many spaces reserved for accessible parking. To place an order for prepaid admission and Zoomobile ride tickets, please call Guest Services at 416-392-5929. Looking for something wild, educational and FUN activities to do during non-school days? Look no further – the Toronto Zoo is the place to visit. For groups of more than 20 youths (under the age of 18 years old), enjoy a 25% admission discount for all members of your group. Please call Guest Services at 416-392-5929 to book your visit. For groups of 20 or more individuals,15%. For groups of 300 or more, 20%. Here's a wild idea. Host your wedding, next party or business meeting at the Zoo.